Tortuguero, Costa Rica, which can be translated as Land of Turtles, is a village on the Northern Caribbean coast of Costa Rica in the Limón Province. It gave its name to the neighboring Tortuguero National Park. The village is situated on a sand bar island, separated from the mainland by Tortuguero River and bordering the Caribbean Sea. 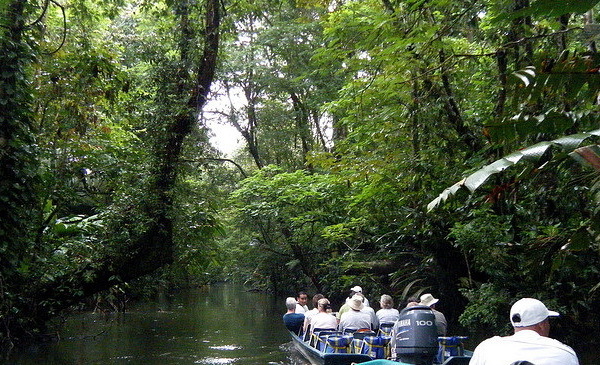 Tortuguero is renowned for its navegable canals that run through the rainforest in the national park, and has such earned the nickname of 'Central America's Amazon'. The beaches around Tortuguero are key nesting sites for four species of sea turtle, including two critically endangered species. The National Park is also host to incredible biodiversity of insects, resident and migratory birds, and mammals, including jaguar and four species of monkey. Accordingly, there are four biological stations — the John H. Phipps Biological Field Station, the Caño Palma Biological Research Station, the ASVO station (ASociación de VOluntarios para Servicio en Areas Protegidas) and the GVI Jalova Biological Station — which operate from the area immediately around the village and concentrate on research and conservation of the local ecology, particularly the turtles. The small village, which can be reached only by boat or airplane, is sustained almost entirely by eco-tourism. Population is estimated around 1200-1500, but more precise numbers will be available when the 2011 census results are published. The area is not safe for swimming due to rough surf, strong currents, and sharks. The park is located on the Caribbean coast of Costa Rica, and its beaches are key nesting ground for endangered sea turtles, such as Hawksbill,Loggerheads, Green and Leatherbacks. The rivers within the park are home to sensitive populations of manatees, as well as caimans, crocodiles, and Tropical Gar, which is considered a living fossil. The forests are home to jaguars, three-toed sloths, and three of Costa Rica's four species of monkey: Geoffroy's Spider Monkey, the Mantled Howler, and the White-headed Capuchin. Basilisk lizards and poisonous frogs also inhabit the area, along with 375 species of birds, including kingfishers, toucans, blue herons, peacocks, and parrots. There are more than 400 species of trees and approximately 2,200 species of other plants. North of the park is the smaller Dr. Archie Carr Wildlife Refuge and then the Barra del Colorado Wildlife Refuge. The latter refuge contains habitats similar to those found in Tortuguero National Park, although much of that refuge is even less accessible. To the south the park is bordered by theParismina River and the Cariari National Wetlands. 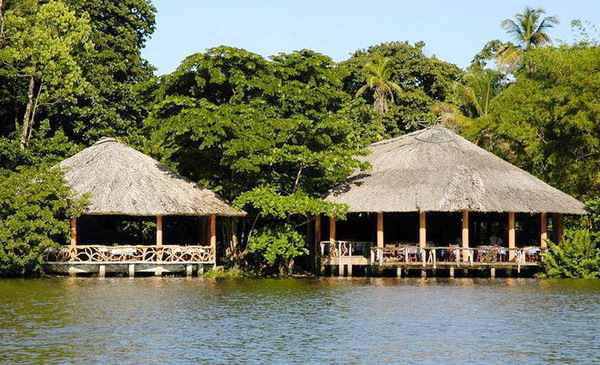 The park has worked with the neighboring village of Tortuguero to help its inhabitants understand that preserving their natural resources is the key to burgeoning eco-tourism.